I’ll try to start where I left off. Let’s see………. Well, that’s all for tonight! Sleep tight everyone!! Yesterday went well. Jacob had to get his blood checked first thing. His counts were fantastic! So, we had the rest of the day to do whatever we wanted. We went back to the Ronald McDonald house and just relaxed for awhile and played video games in their arcade. When we were hungry, we decided to head out for lunch. Jacob really wanted to go to The Cheesecake Factory. We both ate a HUGE lunch and Jacob got a piece of cheesecake for dessert to go. He had never had cheesecake before so he decided to get the raspberry lemon. Not my first choice, but it was for him. Next we went to the Mayfair Mall. It’s a 2-story mall. We walked around that for a couple hours and checked everything out. I was quite tired after that, but he was still rarin’ to go! He asked if we could go to the other mall – Brookfield Square. So, we walked around another mall. Once we were done with that, he still wanted to keep going, but Mom’s feet and legs were sore so it was time to take a break. We headed back to the R.M. House and relaxed for the rest of the evening. Jacob eventually had his cheesecake – loved it! Thankfully he only ate half, so I got the other half. 🙂 YUM! Today started off kinda crazy. We got to the hospital at 7:40 for them to access his port on the second floor. Originally we were supposed to go up to the 3rd floor after (as of yesterday) to register for surgery. But plans had changed and they told us to report to the first floor instead. Once we got to the first floor, they told us it was wrong and to go to the 3rd floor. On the 3rd floor, they said to go to the 4th floor. On the 4th floor, they took care of us and got Jacob prepped, but said we should’ve been on the 1st floor. They just got a new computer system, so that was the problem, but what a way to start the day! He finally got into surgery at about 9:30. Everything went well and he was in recovery by 11:00 and in his room by 11:30. They started harvesting the stem cells at 12:30 and were done 4 hours later. Their goal (which I was way off originally) was 5 million. They were hoping they could get that many within 2-3 days. Well guess what???? They ended up getting 11 MILLION!!!! Can you believe it? God is so awesome! They got 2 bags worth in one day. So, tomorrow morning they’ll be able to take out his central line and start chemo later on in the day and finish up Friday. Yippee!!! Unfortunately with everything going on today, Jacob did get sick a couple of times and doesn’t feel very good. They said it’s probably from a combination of things – surgery, the anesthesia, not eating for so many hours, the morphine, and the meds they put in when taking the cells out. Also, harvesting the stem cells just wipes your body out. He’s been pretty tired all day. Thankfully he hasn’t been in much pain. Just uncomfortable from having a big tube sticking out of the side of his neck. Hopefully he’ll be back to himself tomorrow. And hopefully he’ll be able to sleep okay tonight with that thing in his neck. Pretty bad when he feels better with chemo than with this stuff. Wow…hard to believe a month has passed since I’ve written. I was having problems with getting on the website, so I’ll try to start where I left off last…….. The first round of chemo ended up going very well. Jacob didn’t have any nausea. Praise God! So crazy. He was so sick before and Children’s of Wisconsin is doing a fantastic job with him. We are so impressed. We are just so happy with their treatment for Jacob. They sure know what they’re doing! It’s maddening that the hospital in GR was such a joke and that Jacob had to go through what he did, but we’re trying to look forward and be thankful that he’s in good hands now. Anyway, we enjoyed 2 weeks at home after the first round. Jacob started physical therapy that he does about 3 times a week, although they have him do it everyday when we’re at the hospital. He did end up getting a fever of 102 a week after we got home. They don’t like anything over 101, so we had to bring him in to the ER in Marquette. Marquette did what Children’s told them to and admitted Jacob until his counts went back up and his fever went away. He ended up being in the hospital from Saturday the 20th until Tuesday the 23rd. Not how we wanted to spend our time at home, but at least we were in the U.P. and I was able to go home and get Caleb off to school in the morning and off the bus at the end of the day. Unfortunately on the way back to the hospital Monday evening, I hit a deer and wrecked our van. 20 years of driving and I’ve never hit a deer. Yes, I just aged myself. 🙂 At least I was okay, but you think “what else”? Off it went to the shop and at least we have an extra vehicle. We headed back down to Milwaukee the following Monday on the 29th for Jacob’s second round of chemo. It’s five full days of Etoposide (very hard on the bladder) and Ifosphamide (also a mustard gas). The week went by well. Jacob was sad that he had to spend Halloween in the hospital, but they made sure the kids had fun by having food, games and crafts. The kids even went trick-or-treating around the hospital. He refused to dress up since he was bummed, but wore a cleaver head band to make it a little festive. Wish I had a picture to share. 🙂 We were able to come home on Friday, Nov. 2nd. They sent him home on fluids since they like him to have 24 hours of fluids after chemo to make sure his bladder is fully flushed out. He did well all week, but ended up throwing up about 2 miles after we left the hospital. I actually had a feeling that would happen. Since the van was out of commission, we had Ken’s truck. It has knobby tires and can be a little bouncy on these Wisconsin roads. After so much jiggling, I didn’t feel so well either. After that, he felt good and never had another problem again. And now we’re at today. Jacob and I are in Milwaukee again. We arrived around 4:30 cheese time (central time). We’re at the Ronald McDonald House and will be here for a couple of nights. Jacob has an appointment tomorrow morning to get his counts checked. Then on Wednesday morning at 8:00, Jacob will be admitted and he will have surgery to have a central line put in (just temporary) to have stem cells removed. Not sure if they will ever be needed. Hoping not, but we’ll have them here frozen “just in case”. That could take 1-3 days depending on how long it takes to get the amount they need. I think the number is around 50 billion if I remember correctly. It’ll take 2-3 hours each day. Once they’re done, they’ll do his 2 day chemo round and then we can head home once again for 2 weeks. So we’ll be home for Thanksgiving. Yeah!!! At least we got our van back last week. It looks beautiful! Good job Goodwins! 🙂 Jacob is happy too since we had a nice smooth ride down here. Hopefully the deer stay out of our way from now on. At least when I have the kids in the vehicle. Well, that’s all for tonight. I will try to keep up on this now that I have the website figured out. I will let you all now how Jacob’s surgery goes. Please be praying for him! Thanks everyone!!! Jacob has had a relapse and has started treatment once more. We’re still in shock somewhat! A couple weeks ago, we brought him down to Children’s Hospital of Wisconsin in Milwaukee to have another tumor removed. The surgery went well and they decided to put 2 rods and screws in his back at that time. We already knew that would have to be done someday due to the collapse of the vertebrae from the first time, but now it’s done and taken care of. It is the Ewings again. Surgery went very well and he’ll get his staples out today, which he’s very excited about. He’s getting around really well! We’re also praising God that it’s localized. Only a little bit left in his back. We were advised last year, that if the cancer were ever to return, to stay out of MI. Especially with how hard the hospital downstate was trying to get him back. So, we found out that Children’s was a phenomenal place and we are so happy with them. Everyone is so nice and genuine. He had his port placement and bone marrow aspirit done yesterday and they started chemo last night. He had Vincristine, the lovely drug with chloroform in it; Doxorubicin, the one that’s bad for your heart and is nicknamed “red death” or “red devil”; and Cytoxan, the mustard gas. It makes me sick thinking about it too much, so I try not to. He had all of these ones last time, but guess what? No nausea this time! Praise the Lord! He told me this morning that he can’t believe he had chemo last night. He feels like he just had the surgery and that’s it. Awesome! Today he will have the doxorubicin again and that’s it. They just informed me that they will try to move it up to about 2:00, so hopefully we’ll get to go home today. If not, we’ll stay another night at the Ronald McDonald house and head out in the morning. It’s about a 5 hour drive. We’re at peace! It’s a good feeling. As far as the court thing goes, it has been dismissed. Our lawyers made a request and the State accepted. That was done last Thursday, only to find out that the Court of Appeals judges were going to give their opinion the next day by 4:00. We’ll never know the outcome. At least not on this earth. I wish I knew though. I’ll try to keep you all updated as much as possible! Thank you for all of your support for the past year and a half. For your prayers and donations. I wish I could thank each and everyone of you individually. Know that we are extremely grateful! ***One last thing…..to those that like coming on our website and harrassing us, please leave us alone. I’m pretty sure you have never walked in our shoes so you have no idea what it’s like. Also, there are many details in our lives that made us make the decision that we did. Guess what? I don’t share every single one of them with complete strangers, so please don’t base your opinions from what you get from the media or strictly from here. Please find something more productive to do with your time, because your nasty thoughts and opinions will not make a difference in the treatment and parenting for Jacob. He is so loved and we do what’s best for him and his brother. Not what some jerks with too much time on their hands and have no clue think we should do. Hello everyone! We are back from our dreaded trip downstate. Well, we have been for a week now but just trying to get back into the swing of things and finding the time to sit down and write. Well, just as we suspected, we probably won’t know anything for a couple of months or so. Now we just wait! They will either dismiss it or they will have Judge Solka (our original judge who dismissed it twice) have a trial. As annoying and stressful as this all is, God certainly is in control and has His hand on us. Sometimes through all the stress I have to remind myself of that several times a day, but at the end of the day I know our Heavenly Father reigns!! We are told to just try to go on with our lives like normal (whatever that means) and try to act like none of this is happening until we hear something from the Court of Appeals. Easier said then done. But I guess we’ll try our best. 🙂 We’ll go camping, canoeing, swimming, hang with friends and whatever else we can fit in before school starts. Hope everyone is enjoying their summer and most of all their family. Hold your kids tight and tell them you love them, hug and kiss them several times a day. And don’t forget about your spouse. I’m so blessed to have such a wonderful and supportive husband. Thanks again for all your support and prayers! God bless!! If you’re interested in reading about and seeing pictures from our day in court, go to mlive.com. They did a pretty good job with the article and pictures. Hello! Just wanted to update everyone that oral arguments have been set with the Court of Appeals for July 11th in Grand Rapids. I could really care less to ever step a foot in that city again, but whatever! I will try to update you all as soon as we hear something after that, but Michael Farris told me that it could be months before we hear something back from them. On a good note, Jacob is still doing very well! Happy and healthy! He is so sick and tired of all this legal stuff though – probably more than Ken and I. He stresses and worries about it – we all do, but God is in control! Even if we have to remind ourselves of that several times a day. Anyway, my brother and his family came up a couple weeks ago for the week. We had a wonderful time visiting with them and Jacob and Caleb loved seeing their little cousins. 🙂 Last week, Jacob and Caleb were at the U.P. Bible Camp for day camp. They had a wonderful time! They always enjoy going and were happy to go since they had to miss last year. This week will just be a week for relaxing and getting some much needed chores done. We’ve also been busy shooting our bows as a family and having a great time with that. Caleb stands closest to the target since he doesn’t have a “real” bow. Jacob and I stand at the same distance since I’m a beginner, but we make Ken stand about 20 yards behind us to make it fair. 🙂 Then we take turns seeing who can get closest to certain areas on the target. It may sound lame, but we love it! 🙂 Good family fun! I hope all of you have a wonderful 4th of July! I will try to write again when we get back from downstate! Please keep us in your prayers for safe travels and that the judges will have wisdom and see the truth!!! Nothing knew with the Court of Appeals. Both sides have filed their briefs and we’re still waiting to hear what the judges have to say. I don’t know if them taking a long time is a good thing or are they just busy? One thing I did find out is that Maura Corrigan (the head of DHS in Lansing) who is the one pushing forward with this used to be a Supreme Court Judge (or so I’m told). Hopefully she doesn’t try to use her connections to get her way. Although I would hope the the Judges have a conscience and morals. They did say, however, that they would give us at least a 21 day notice before the Oral Arguments would be heard. So that’s nice – not having to run down to Lansing last minute. Let’s see…what else is new? Jacob got to take his Make-A-Wish trip at the end of April. We didn’t know if they would allow him to do it or not, but they did. I don’t really know why they wouldn’t. He deserves it just as much as the next kid, right? He had a blast!!! We all did. 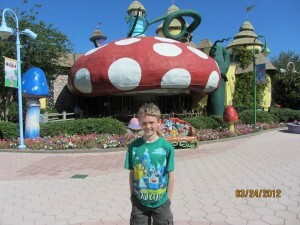 We went to Florida and they had us stay at Give Kids the World. What an amazing place!! So much to do there, you don’t need to go anywhere else – 2 pools, a water play yard, movie theatre, fishing pond, nature trail, miniature golf and an arcade (remote control boats on a pond, Wii – with every game, XBox – with every game, pool table). They also have an activity or event that happens everyday. For instance, every week they celebrate Christmas, Halloween, have a carnival, movie night, a pool party. Unbelievable!! These people go all out! I can’t believe we’ve never heard of it. If you’re ever looking for an incredible organization to donate to, this is one. I will post pictures. Anyway, too many things to do in only a few days. We went to Disney the first day (Magic Kingdom and part of Epcot), Universal Studios and Islands of Adventure the second day. The third day we finished Epcot and then went to Animal Kingdom. The fourth day we stayed back at GKTW and just enjoyed the pool and relaxed. Ken and the boys got a little sun-burned that day. Even though we applied and reapplied sun lotion several times. I guess we’re not used to that Florida sun. 🙂 That night we went to Downtown Disney. Jacob had to go to the Lego store. He LOVES Legos!!! The last full day we were there, we went to Sea World and finished off the day with Aquatica. What a week! It was a blast, but we tried to fit in too much in just 5 days. I think if we ever make it to Florida again, we’ll have to slow down quite a bit. Not too much going on since then. Just keeping very busy! Went camping with friends Memorial Day weekend in AuTrain and had a great time. We found out that in they are moving the 6th grade to the Middle School next year where we are. Not sure how I feel about that. I think Jacob will like it a lot, but I’m not too crazy that he’ll be on the bus with the High School. He’s much too young to have that kind of an education. 🙂 So last week Jacob had his 5th grade graduation. They also had an awards ceremony the day before. Jacob got 3 awards. One for Good Citizenship, Academic Award and the Presidential Academic Award. We are so proud of him! And he’s proud of himself too! 🙂 School is out as of last Friday, so we have the whole summer to enjoy – here at our home. 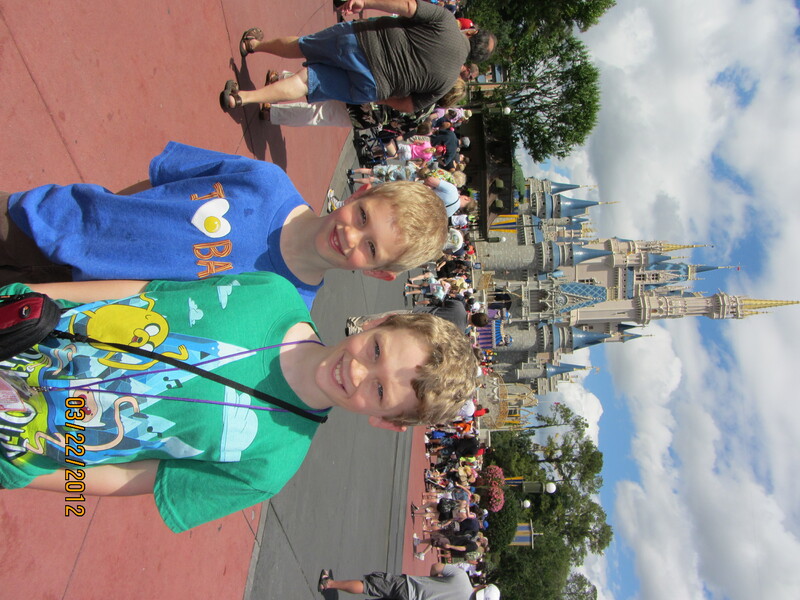 We do have some AWESOME news to pass on….Jacob had another clean PET scan a couple weeks ago. We are praising God! He continues to put His protection over Jacob and this family and we’re so very thankful!!! What an amazing Father we have in Heaven! Please keep up with the letters to your State Reps. Demand that they do an investigation into why DHS is spending a ridiculous amount of money on this. Our tax dollars are being wasted!!! It’s so maddening! At least we don’t have the local CPS breathing down our neck anymore. I was on the phone with the Childrens Worship Leader from our church a couple days ago. Jacob was outside on the deck and overheard me talking to him on the phone. I went outside after I hung up and he was teary-eyed and upset. I asked him what was wrong and he thought I was talking to the CPS caseworker we had – they have the same first name. Poor kid! It broke my heart that that is still something that bothers him and haunts him. He should not have to stress about that or even be a thought. It makes me so mad that they are doing this. The stress and anguish they’re not only putting my husband and I through, but our kids. No child should even have to know who CPS is. They think they’re doing supposedly what’s “best” for Jacob, but they are causing more problems. Well, they’ll have to answer to our Almighty God someday for their actions – that’s for sure! Hope you are all doing well and we ask that you continue to keep us in your prayers. Doesn’t look like this is gonna be done anytime soon. We’re just about at a year now. Maybe Jacob will be 18 before this is done. Ha! Actually, I shouldn’t joke about that – it could happen. We are so thankful for your continued support. I’m better at keeping up with Hope for Jacob on FB, so feel free to follow us on there. Ok….sorry! I made it rotate, but then it still showed up like this and I can’t seem to fix it. Just turn your head sideways and enjoy! 🙂 I’m also sorry that I’m not going to download anymore pictures because we have dial-up and it just took me over an hour to download these two pics. I guess that’s the downfall to living out in the woods. 🙂 Happy summer everyone! Seems like this is becoming a habit of mine….writing once a month! Sorry… I’m sure you all understand. We’re just busy living life. 🙂 Things are going well. Jacob’s still healthy and that’s all that matters at this point – and that we’re all together. Stieler Case Update: Michigan Department of Human Services appeals pro-family decision to Michigan Court of Appeals. Ken and Erin Stieler are the mom and dad of Jacob—who has been cancer-free since his PET scan in early July. He has had two clean PET scans since then—the most recent in January. Despite all of this, the Michigan Department of Human Services continue…s to attempt to prosecute this f…amily for medical neglect. If they succeed they will force Jacob to resume chemotherapy despite the fact that the drugs in question are not FDA approved (either for children in general or for this particular cancer). Moreover, these drugs do not promise anything close to a guaranteed cure. And, the FDA requires the drug manufacturers to disclose that these drugs cause new cancers to form, heart disease in children, failure to sexually mature, and many other serious side effects in some cases. The Marquette County Probate Court has twice ruled against the Department. Yet, the department keeps on fighting against these parents. Just this afternoon, the Department’s appeal was filed in the Michigan Court of Appeals. The irony is that the Department has alleged that this case should be expedited because the situation is urgent. If it was urgent, why did the Department wait 55 days from the initial hotline call until filing its complaint? Why did the Department and a consulting doctor call two local judges trying to influence them to prosecute the Stielers—despite the fact that such out of court calls are clearly unethical? These calls required the case to be re-assigned twice—wasting another two months. If it was urgent, why did the Department ask for a continuance of the December trial date by almost a month? If it was urgent, when the Department lost why did it seek a motion for rehearing, a step that is rarely granted and which took another two months to resolve? And when they filed this motion for rehearing, why did they wait until the very last day—21 days—before filing the motion? And when it came time to appeal, why did they wait until the 20th day—beating the deadline by a single day? It’s never-ending! They just can’t take no for an answer! Oh well…Our God is bigger!!!!! 🙂 Who knows how long this could go on for. It would be nice to get on with our lives. On a good note, the sports are done. Well, for awhile anyway. Basketball finished last weekend. Skiing is done too. I know Jacob is sad about the skiing, but the nice weather is making up for it. We are enjoying this gorgeous weather, that’s for sure! Thanks again for all of your prayers and encouraging words. We feel so blessed! I will do my best to keep you all updated on the appeal. God bless you all! He is such an AWESOME GOD!!!! We are so very thankful that God keeps putting His protection over this situation and our family. He continues to amaze us with His blessings! Jacob continues to do very well! He is very happy and healthy. This has been a great fall and winter for all of us – not one cold, fever or flu. God is good! Jacob continues to play basketball and is enjoying it. He’s not real sure about the game yet – as this is his first year playing, but he plays with a couple of his good buddies, so that makes it more exciting. He is really enjoying the downhill skiing. It’s so amazing how far he’s come this past year. To know where he was last year in March and now he’s skiing down some of the most difficult runs at the mountain is amazing! God has certainly showed us how much He’s worked in Jacob’s life. I will try to post some pictures soon. Thank you again to everyone for all your prayers. We know they’re working. We’ve also have had a lot of amazing people contact us with information or questions. If you are one of those persons, we are doing the best we can, but there are only so many hours in the day. 🙂 Or find me on facebook, you may hear back from me sooner. 🙂 One last thing, I have heard from a few people lately that they never got their t-shirts or sweatshirts that they ordered back in the spring. I don’t know much about it since the person that was doing that for us was a stranger that offered to help, but please let us know what you ordered and who you ordered it from and we will either try to get you your shirt or your money back – whichever you would prefer. We feel just sick about the fact that there are people out there that were left hanging. Just when you think it’s all over and life will be back to normal……. DHS had 21 days to file for an appeal or rehearing. Last Wednesday, on the 21st day, they filed. Seriously?? Don’t they have something better to do with their time or our tax dollars? They filed for a rehearing. Meaning that they are telling Judge Solka that they don’t agree with his decision and would he reconsider having a trial. Judge Solka responded with asking our lawyers to file a brief and have it in by February 1st. DHS’s lawyer then has until February 15th to respond. We are told that this isn’t anything to worry about. That Judge Solka is just being thorough. We still continue to trust God and know that He has everything under control, but it’s just very frustrating. Is it the State of Michigan or is the hospital pressuring the State to keep going forward. Personally, I think they’re hurting themselves. Word keeps getting out like this, people will be too afraid to bring their children to that hospital. I’ve already had numerous families come forward saying how they’ve been at this certain children’s hospital and have been threatened with CPS when they question their doctor or even mention getting a second opinion somewhere else. Disgusting!!! Jacob also started basketball at the beginning of January. It’s an amazing program that Caleb is involved in also. It’s called Upwards and is through a local church. They have only one practice a week and one game a week. They both had their first games last Saturday and did very well. They also started downhill ski lessons last Sunday. They had a blast! Ken and I had fun watching them from the warm chalet. 🙂 I think that skiing is going to be Jacob’s thing. We’ve also gotten out as a family cross-country skiing several times since Christmas. Great family fun! It’s amazing how far Jacob’s come since last March. It’s nothing short of a miracle! God has certainly been working in his life and in ours. He is enjoying life and we’re enjoying all being together – happy and healthy! Hoping all of you are happy and healthy as well and enjoying this new year! May God bless all of you and thank you again for all of your words of encouragement and prayers! Happy 2012!